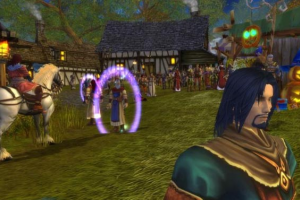 "Online role-playing game that brings a fantasy world full of adventures"
Runes of Magic is a MMORPG (massively multiplayer online role-playing game) that brings a fantasy world in which you will experience a diversity of adventures. This game takes place in Tabor, which is the fantasy world we were mentioning a bit ago. This world is inhabited by human beings and all kinds of mystic creatures with different powers such as orcs, dragons, trolls, elves and others. Your objective in Runes of Magic is to increase the level of your character´s skills and powers. You can level up by passing quests through all the adventures that will make you earn points. As you keep advancing through the game, the weapons and ammo get better, besides of new items you can discover in order to be correctly equipped to face more powerful creatures. The game allows you to play by yourself or in a team with other players.